A permalink is the type of URL link that other authors can use to link to your posts. Generally, the WordPress default setting for permalinks is to create URLs with a set of numbers. Google searches work through keywords. Because of this, you need to confirm the permalink setting is set to Post Name or some type of setting that uses words instead of numbers. 1. 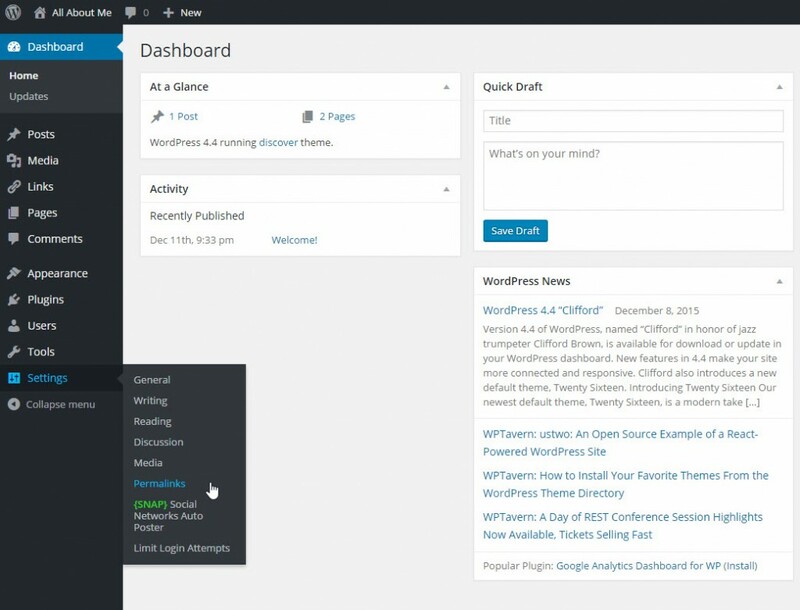 From your WordPress dashboard, click Settings, and then Permalinks. 2. In the Customer Structure text box, ensure /%category%/%postname%/ appears. If not, type it in the field. This code causes WordPress to use the post category and post title in each post’s link. 3. Click Save Changes, if any changes were made. Permalinks are created using a post category and post title. You can change the post title piece of your permalink at any time. This is especially helpful if you change title of the post itself. 1. From your WordPress dashboard, click Posts. 2. Find a post to edit, and then click Edit. 3. Click Edit, which is next to the permalink. 4. Change the post title in the permalink, and then click OK.
5. Click Update. If you don’t update the post itself, your permalink change will not be saved.